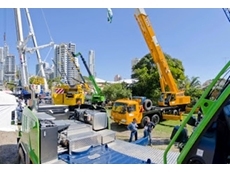 The Crane Industry Association of Queensland (CIAQ) is the principal Crane Industry Association in Queensland, with members servicing all sectors of the construction industry and mobile crane hire. 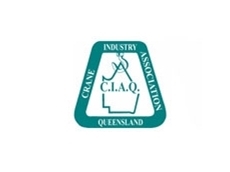 CIAQ is recognised by government and the public sector as the official industry association on all matters affecting the State crane industry. 02/08/12 - Founded in 1973, the Crane Industry Association of Queensland (CIAQ) is the principal crane industry association in Queensland, representing members that service all sectors of the construction industry and mobile crane hire.CIAQ is recognised by government and the public sector as the official industry association on all matters affecting the State crane industry, while providing a wide range of member services on a state and regional basis.As the official peak association for the industry, CIAQ states that it: is the trusted source of information, advice and expertise for all stakeholders - members, the broader industry, government, staff and the community; and sets the strategic direction of our industry and influences public policy.On an operational level, the Association focuses on: lobbying the provision of technical support and assistance provision of industrial relations services; and training.CIAQ defines its objectives and aims as: to promote, protect and further the interests of all those engaged in the Industry or businesses directly associated with or ancillary to the business of mobile crane hire to endeavour to act as a united organisation on behalf of all who use mobile cranes for hire and reward to promote consideration and discussion by all members on matters affecting mobile cranes and any other ancillary matters to collect, collate and disseminate information on all matters affecting mobile cranes to supply services and information of all kinds in relation to business operations to assist and facilitate the giving of assistance by members to each other in the performance of their businesses and encourage co-operation between operators and promote higher, efficient, reliable standards of service to act in relation to any governmental or other authority in such manners as the executive committee deems expedient in the interests of all members to make rules, regulations and bylaws not inconsistent with the constitution for the guidance of the association’s members to afford assistance to any member whose case warrants the united support of the association in any manner affecting mobile crane hire; and to encourage road and workplace safety.